THE IRISH FARMERS’ Association and Pieta House have joined forces to highlight the large number of men in rural areas who take their own lives. 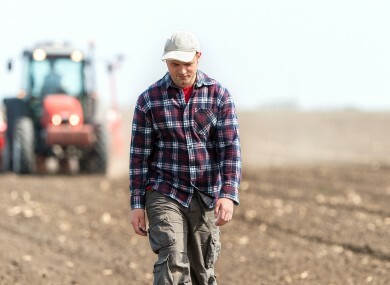 People who are feeling suicidal have been encouraged to connect with the support services available, including the Mind Our Farm Families phoneline and counselling service offered by the two groups. Today marks World Suicide Prevention Day 2016 and this year’s theme is connect, communicate, care. IFA president Joe Healy said the high rate of suicide, particularly among men in rural Ireland, was the driving force behind the IFA’s involvement is setting up a dedicated phoneline and counselling service. The helpline, which can be reached on 1890 130 022, puts farmers in direct contact with a Pieta House therapist who can make an appointment at one of their 18 centres if needed. “Suicide is preventable and it is so important that if you are feeling suicidal or you are concerned about a family member or friend that you talk to someone. “The Mind Our Farm Families service is a solution focussed one-to-one counselling service that is completely free of charge,” Healy said. The World Health Organisation estimates that more than 800,000 people die by suicide each year – that’s one person every 40 seconds. Up to 25 times as many people make a suicide attempt. “Our vision is of a world where suicide, self-harm and stigma have been replaced by hope, self-care and acceptance,” Pieta House CEO Brian Higgins said. In the last 10 years we have been brilliant at replacing suicide with hope and bringing people to self-care, but the biggest struggle for us is to replace stigma with acceptance. “Individually, we all need to tackle the stigma that leads people to the doors of Pieta House. At Pieta House we have helped more than 25,000 people since 2006. “Suicide is something that sadly affects every community in Ireland, but in rural and farming communities in particular it is vital that people know that our services are there if they need them,” Higgins said. Pieta House will be at the IFA stand (block two, row 12, stand 289) at the National Ploughing Championships in Screggan, Tullamore, Co Offaly from 20-22 September to provide advice and information on the services offered. Email “Pieta House teams up with farming group to highlight suicide among men in rural areas”. Feedback on “Pieta House teams up with farming group to highlight suicide among men in rural areas”.